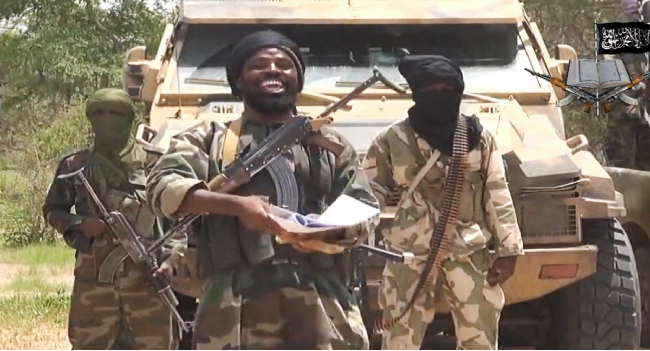 Boko Haram leader Shekau injured in airstrike – Royal Times of Nigeria. Boko Haram leader, Abubakar Shekau has been injured in an air strike in the Northeast, according to AFP reports on Wednesday. The news network said two Nigerian Air Force jets fired at fighters who had gathered for prayers in Balla village, on the edge of the Sambisa Forest, last Friday. “His deputy, Abba Mustapha, alias Malam Abba, was killed in the attack along with another key lieutenant, Abubakar Gashua, alias Abu Aisha,”.